Canadian environmental media arts organization Planet in Focus will hand out its inaugural Green Screen Award on October 14, during the Planet in Focus Film Festival, which runs from the 12th to 16th in Toronto. Sponsored by Astral’s Harold Greenberg Fund, the award will honour green production practices that have taken place on set or on location during the filming of a movie or television program. Planet in Focus is Canada’s largest environmental media arts organization and their mandate includes the promotion of social and ecologically sustainable practices in media production, and to forge alliances with organizations and individuals with similar goals. The producer and/or the director of the most inspiring green story will receive a $5,000 cash award and a certificate for the services of Planet in Focus’ green screen program on its next film or TV production. Only productions completed after January 1, 2010 are eligible. Submissions will be accepted until August 5 and the production can still be in post-production as of submission date. The film or TV show doesn't have to be about environmental issues and does not have to be submitted to the Planet in Focus Film Festival. It is simply for any genre production that’s employing green methods. Shorts, experimental films, animation, television pilots, music videos, features and documentary films are eligible; commercials are not. For other eligibility requirements, go to www.planetinfocus.org/greenscreen. The finalists and ultimate winner will be decided by a jury comprised of a member from Astral’s Harold Greenberg Fund, Planet in Focus, as well as a member of the film industry. 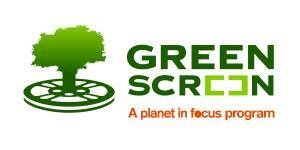 The green screen program is an award-winning non-profit environmental stewardship program for the film and television industry. Designed to reduce the environmental footprint of film and television productions, the program promotes green film and television practices, conducts customized consultations and utilizes proprietary technology to calculate a productions’ environmental savings. The 2010 film, Score: A Hockey Musical, supported by Astral’s Harold Greenberg Fund’s equity investment program, is the first feature in Canada to have estimated its environmental impact and savings with the Green Screen Program, trimming about 20 tons of C02 emissions. Planet in Focus's green screen program’s work was recognized with a Green Seal Award from the Environmental Media Association (EMA) on the low-impact production techniques used by NBC Universal on Warehouse 13, Season 1. The green screen program is supported by Astral’s Harold Greenberg Fund, City of Toronto, the Toronto Film Office, Live Green Toronto, Cinespace, Canadian Media Production Association (CMPA), among other industry organizations, businesses, unions, guilds and volunteers.